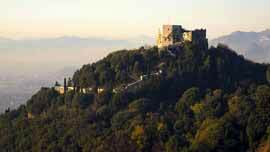 Luni is located at the border between Liguria and Tuscany, on the bank of the river Magra. 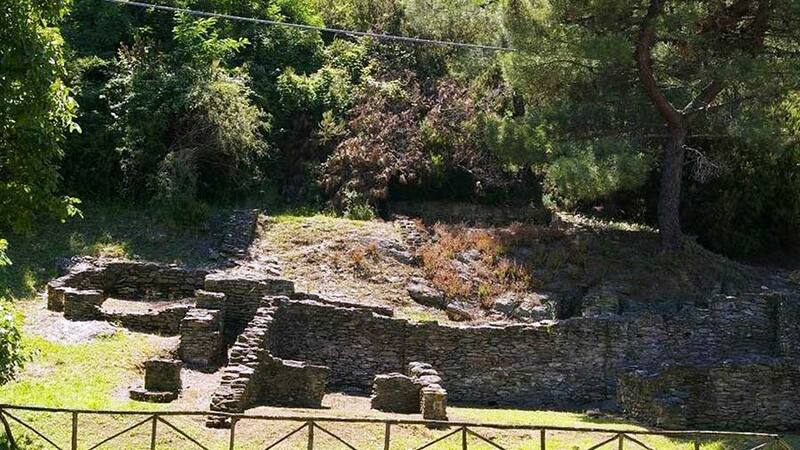 Today, there are only ruins left of this ancient Italian town. The area was inhabited since the Paleolithic, but the town was funded at the beginning of the II century B.C. and was famous during the roman era for its port, from which ships left loaded with the marble from the Apuan Alps. Luni experienced a period of prosperity during the late Middle Ages under the leadership of the Bishop-Counts priors, especially during the X century. Malaria and above all after the following burial of the port, brought the end of Luni. 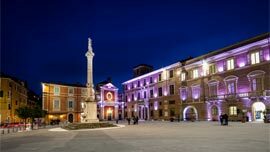 In 1058, the entire population was transferred to Sarzana. The archeological excavations, which have intensified over the last few years, have allowed to clarify the main urban phases of the town, which has a clear military (castrense) layout with the via Aurelia as decumanus maximus and cardo maximus which connected the forum to the port area. There were public and religious buildings on the forum such as the Capitolium. There remain large fragments of its architectural decoration in terracotta and parts of its frontal sculptures of neoattica manufacture (II century B.C.). The amphitheatre can be dated from the age of the Antonini. The crypt of San Marco (VIII-IX centuries), the campanile and the apsidal part of the San Marco Cathedral have survived from their medieval period. We recommend a visit to the archeological museum built in 1964 which is located at the centre of the ancient town of Luni, in the archeological area. It holds pieces that have been discovered during the excavations of the ancient Roman town. The fragments of bronze and marble sculptures, funeral altars, vowing altars, remains of decorative items and objects in terracotta are of great interest.